We are gearing up for the next major release of FreeFlyer, version 7.3, to be available for download this September! We are packing many new features into this release, and in this post we’ll take a look at what you can look forward to. FreeFlyer 7.3 will introduce a new RFLink Object specifically for performing RF communications analysis, such as link budget or link margin calculations. Users will be able to define transmitter and receiver antenna information from the Object Browser or via script, and associate each with Groundstation or Spacecraft Objects. Once the elements of the communication system are set up, one of multiple new built-in methods can be called for computing various parameters such as EIRP, free space path loss, carrier-to-noise ratio, and more! The FreeFlyer OD suite will now include a Square Root Information Filter (SRIF) as another option for state estimation. The SRIF will be the fourth OD estimator included with FreeFlyer, complimenting the existing Batch Least Squares, Extended Kalman Filter, and Unscented Kalman Filter. The SRIF is well suited for estimation cases that are sensitive to the numerical conditioning of a spacecraft’s covariance, such as interplanetary trajectories where covariances can be very large. A new “Rotating-Pulsating” reference frame is being added in to aide in multi-body mission design and analysis. This view normalizes the distance between two objects (e.g. 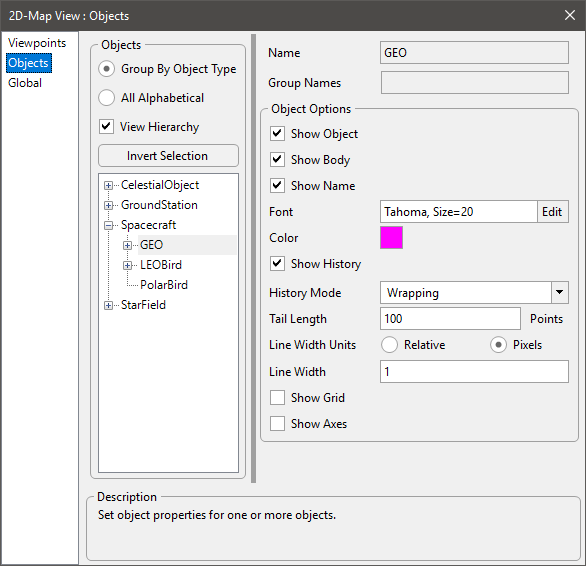 celestial bodies) and allows for simplified trajectory visualization in 3D views as well as coordinate system transformations to/from other reference frames. An example use case of the Rotating-Pulsating view is the classic “figure 8” orbit of an Earth-Moon free-return trajectory. 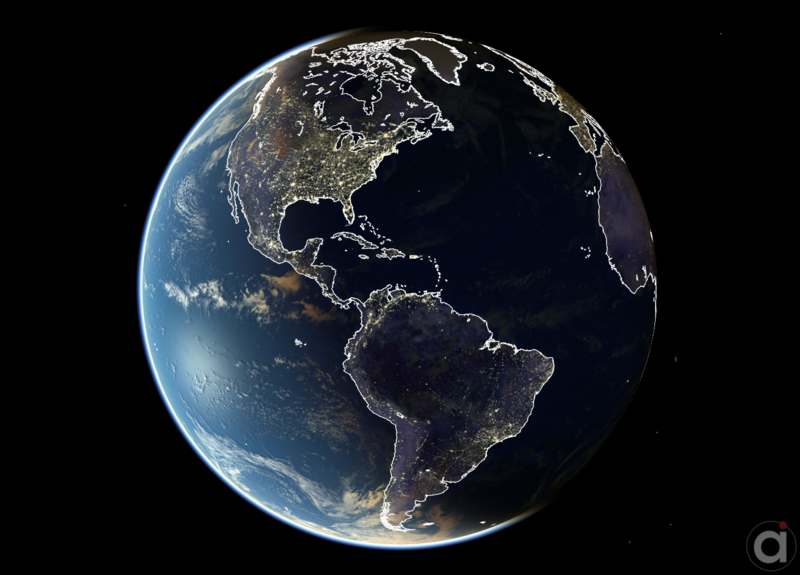 Users will now have access to additional image layers to include in the FreeFlyer 2D map / 3D globe view to show political borders. 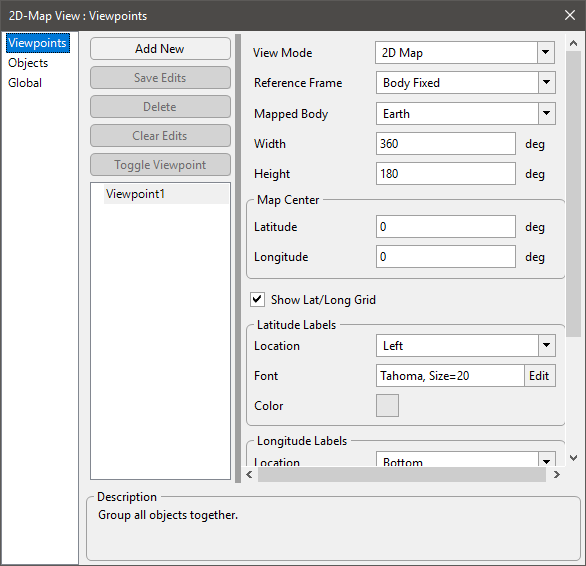 This will include all countries, US states, and coastlines, as well as the ability to add custom shapes and points from external data sets. Users will now have a new Mission View Properties menu which provides multiple new ways for configuring and saving FreeFlyer output settings. The Mission View Properties menu is 1-click accessible from a new simplified Output Properties Tab, or by right-clicking anywhere in a FreeFlyer Output Window. New features now available include the ability to save 3D camera settings for import/export, changing colors, fonts, and other output details on the fly, and creating customized groups of Objects (such as a Spacecraft and Groundstation) for ease of manipulation. The Spacecraft Object will now include a dedicated Step method. This will allow users to define the step properties of a Spacecraft outside of the actual Mission Sequence, a useful feature when embedding FreeFlyer into other applications via the Runtime API. Users can now generate sample spacecraft states based on a priori state and covariance information. This capability is useful for Conjunction Assessment (CA) of two objects where each object can be sampled hundreds or thousands of times to perform a Monte Carlo simulation and predict a realistic Probability of Collision (Pc). The FreeFlyer runtime API now supports integration into applications written in Python. Users can now save a screenshot of an entire Output workspace, regardless of how many Output Windows are included in the workspace.